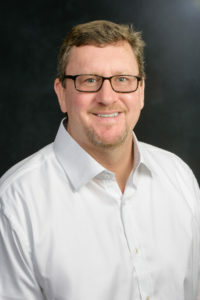 Gabe Arnold serves as Q2’s Credit Administration Manager. He has more than 13 years of credit underwriting experience focused on commercial real estate, commercial and industrial, as well as small business and rural consumer transactions. At Q2, Gabe manages the portfolio of closed loans, identifying trends and opportunities. Gabe’s experience includes credit and underwriting positions at the large regional and community bank levels, as well as within the Farm Credit System. Prior to getting into banking, he worked for several local, regional, and national commercial real estate development / management firms. Gabe graduated with a BSBA degree in Accounting from the University of Louisville. He enjoys sports, particularly baseball. He became a New York Yankees fan in the late 90s while working in New York City. Gabe and his father are currently in the midst of a Major League Baseball stadium tour. To date, they have visited 20 of the 30 MLB ball parks.